In order to join business incubation program please contact Business Development Centre administration at 73 Parnavaz Mepe Street, Batumi, Georgia. The incubator provides above listed facilities and services at subsidized rates. Incubated companies are required to pay a fixed amount of monthly fee equal to 150 USD. 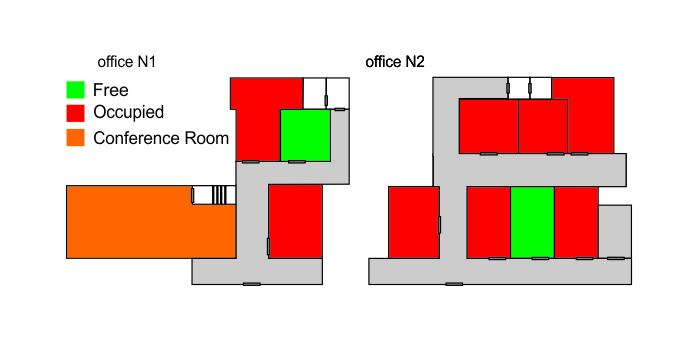 Drawing below gives you schematic view about available office space at Batumi Business Incubator. Displayed information may be outdated. For precise information please contact administration.